Each sheet contains 23 removable labels and can record over 2,500 patient visits. After a patient signs in for their appointment, simply remove the numbered label strip and file it away into the patient's chart. All of the information written down remains confidential and is copied to a second sheet that other patients do not see. 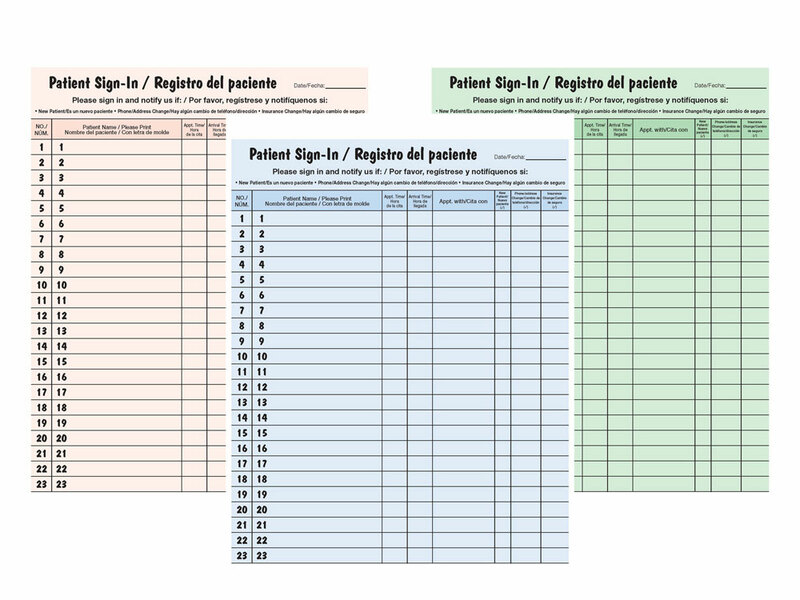 The sign-in sheets were designed to help healthcare providers enhance their HIPAA compliant plan and overcome language barriers for patients with limited English speaking proficiency. According to the US Census Bureau, Hispanics represent 17.8% of the total US population with 72.4% speaking a language other than English at home. The number of Hispanics in the United States is expected to grow even further by 2060. With Spanish being the second most used language in the United States, AMZfiling believes this is an essential tool to have in your office for improving cultural competency among Spanish speaking patients. The sign in sheets are available in three colors and can be ordered in a 125 or 250 package. Save 20% when you order 3 or more. Offer is valid June 4th-June 30th.